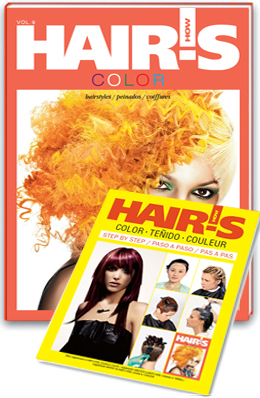 "COLOR," the book + FREE technical booklet "COLOR, step by step"
ENJOY! Discover astonishing collection of the 138 works by world-renowned artists who are devoted to one subject: COLOR. LEARN! Our complementary "COLOR" Step-by-Step booklet interprets the coloring techniques featured in the "COLOR" book. 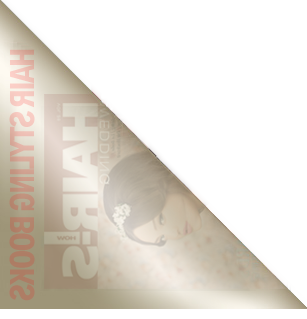 This book's debut marks the first time the topic is being presented in HAIR'S HOW's series of educational books. The chic styles featured inside can be easily located since the book is sectioned off specifically for blonds, brunettes and redheads. A section on creative coloring techniques is included for those who truly like to make a statement with innovative color. "Color" serves as a complete guide to selecting ideal hues for your next hot styles. The book is divided on sections: Blond Hair, Dark Hair, Red Hair, Creative Color. ● 138 color ideas for every type of hair from leading world stylists. The innovative coloring techniques featured in this how-to book are explained in step-by-step fashion. With this complementary supplement as a guide, you can easily apply, combine and interpret coloring techniques to create unique masterpieces. Pravana Celebrity Spokesperson Sacha Quarles puts a new and smoother spin on Perfection SmoothOut. SIMPLY SMOOTH keratin replenishing color lock treatment by american culture.